Here is the list of Top 10 Dividend Stocks in India. In this Article, We will discuss in detail about Best Dividend Stocks of 2019 available for Investment. We will also analyze in-depth performance, pros, cons & return performance of these list of Dividend Stocks. In most of the cases, investor goes for Capital Appreciation, which has a very simple logic. The investor buys it at the lower price and sells it at the high price, and in between what they get is Capital Appreciation or their profit. In the beginning, most of the investors prefer Capital Appreciation. Now, let us move to Dividend. It is quite risky in comparison with Capital Appreciation. A dividend is the distribution of a portion of a company, which is decided by its board of directors, which further gets divided among the company’s shareholders. The dividend could be in any form shares of stock, cash payment or other property. Further, most of the companies offer dividend two times a year, namely Interim Dividend and Final Dividend. This is a type of bonus for the investors. The Hindustan Zinc is one of the high dividend paying stocks present in the market. The Hindustan Zinc is also known as HindZinc. According to the present market value it offers 9.38% of dividend with its P/E ratio as 15.91 which is very much low when compared with other competitors. With the face value of Rs 2/- per share, it provides 100% dividend. While analyzing the dividend holder of this company, it is concluded that more 70% of the dividend holders belong to the promoter category of the company, which also show the confidence of the promoters of the company. The SJVN is after HindZinc who is also considered as high dividend paying stock present in the market. The Sutlej Jal Vidyut Nigam (SJVN) pays around 7.89% of the dividend. It has the face value of 10 with the P/E ratio as 9.34. Further, the 90% of the promoters of SJVN holds dividend of the company. The Bharat 22 ETF is also a part of SJVN. Impressed with its such performance, Government of India also promotes SJVN for bringing reforms in green energy. The Coal India offers a dividend of about 7.36% with the P/E ratio of 11.66, which comparatively very low compared to other dividend stock available in the market. Yet, it is considered in the 3rd position because of its dividend value. For Coal India, more than 78% of the dividend stock holders are their promoters. For some investors, the dividend stock of Coal India is also considered as the multi-bagger stock. The Hindustan Petroleum Corporation Limited (HPCL) is also a high paying divided into the market which yields about 7.06% dividend. It has the P/E ratio as 10.29. More than 50% of the company promoters have HPCL dividend stock. Additionally, HPCL is India’s 4th largest company in terms of market capitalization. It is also one of the top oil marketing company in India. The NLC which was previously known as Neyveli Lignite Corporation is also a hot deal for the dividend stockholders in India. It is also awarded as a Navratna Company by Government of India. With respect to the current market value, it provides about 6.89% of dividend with a P/E ratio of 6.67. For a long-term share, it is one of the ideal option, which will make you earn a higher profit. As the company is growing at a rapid pace, it is a very good option for investors. The National Hydroelectric Power Corporation (NHPC) yields about 6.68% of dividend stocks. It has a market capitalization value of more than 27 thousand crores. Its P/E ratio is 9.91 which is quite higher. It is also a component of Bharat 22 ETF and about 74% of the company’s promoters have their dividend. The Bharat Petroleum Corporation Limited or BPCL is considered as the third largest oil marketing company of India having a market capitalization value of more than 100 thousand crore. It offers a dividend of about 6.43% and has a P/E ratio of 13.70. The 54% of the promoters of BPCL has their dividend stocks, which show a huge trust in the company. The Vedanta yields about 6,30% of dividend and having a P/E ratio of 10.39. This company has a market capitalization value of more than 114 thousand crore. Vedanta is considered the second largest producers in the sector of minerals and mining. Further, 50% of the company’s dividend holder are their promoters. The Rural Electrification of simply REC is the second largest lending institution in India, which have a market capitalization value of about 32 thousand crores. This company yields about 5.87% dividend and has a P/E ratio as 5.12 which is quite lower. Further, it is also a part of Bharat 22 ETF and the promoters of REC are having about more than 58% of its dividend stocks. The Chennai Petroleum is one of the big companies of India. It offers the dividend stock of about 4.89%. It has a P/E ratio value as 6 which make it stand in the 10th position for an option of best dividend stock in India. This company has a market capitalization value of about near to 6 thousand crore. The promoters of Chennai Petroleum are holding more than 67% of the stakes of this company. It is very important to understand the depth of the stock market before investing in it. Whether you are a beginner or a Pro, before investment you need to go through various analyses on the market just to be sure of your investment. 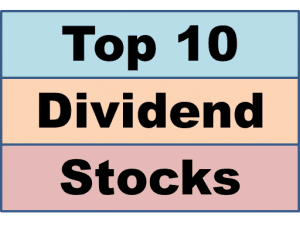 Thus listing down the top 10 dividend stocks in India; it could be a helpful guide for the investors, and investing in dividend stocks is a good option for earning a higher profit in this competitive market.